Making and selling traditional garments is a common (and successful!) business for indigenous women in Guatemala. Life was not easy growing up in the remote, indigenous village of Rio Azul. As a child, Feliciana was abandoned by her parents and very quickly had to learn how to fend for herself. While attending school in her hometown, Feliciana also worked as a bank messenger in the nearby city of Nebaj. In addition, she learned how to fabricate traditional indigenous clothing so she would have a reliable source of income when she grew up. Feliciana knew her grandparents would be counting on her to care for them as they got older since her parents were no longer part of their lives. As a young adult, Feliciana encountered the work of FH Guatemala in Rio Azul. 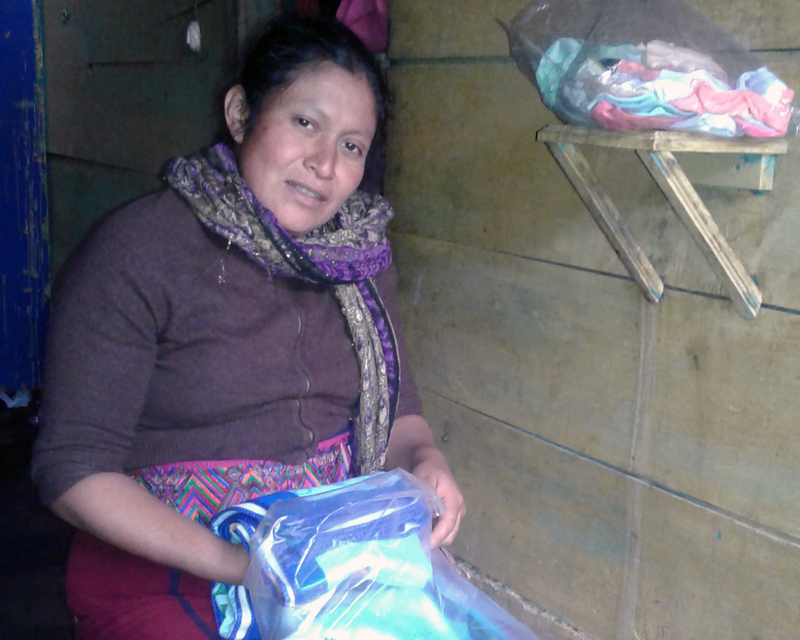 After seeing how the women's Savings and Loans groups functioned, she decided to join one. She liked the way that the groups empowered women, expanding their capacity for work and home life. The savings groups particularly strengthened women's entrepreneurial projects that generate income to help improve their children's nutrition and support their families. These groups provided women with independence and solidarity at the same time. "I liked the idea of being part of the savings group because it is different from the other organizations or banks that provide savings and loans. Here we are owners and decide how we can generate more income. Our principles are strengthened and we nurture values such as transparency and stewardship." Feliciana also wanted to be part of the development happening in Rio Azul, to be part of creating a community where little girls are no longer abandoned but rather supported and loved by their parents. "There have been a lot of changes in the community with the arrival of FH. They have helped many families in our community to get ahead. The capacity of women has been empowered and chronic malnutrition has diminished in children under five years. Now I can help so that my family can have a better future with the development of projects that generate income." Feliciana thrived in her group. So much so that in 2015 she was given the opportunity to become a group trainer to support other women from other communities. "I accepted and thought it was time to implement some of my knowledge. It has also been a good opportunity to build trust with my neighbours because I see they have the potential to save and help in the development of the community." Through her courage as a child and her perseverance as an adult, Feliciana has seen the attitude of community leadership change over the years. Instead of disregarding women's ideas and dismissing their efforts to help support their families, leadership is now embracing women's contributions and making room for their strong entrepreneurial spirit to thrive. And because of this, the community is thriving, too.